Image credit: Shannon Brewing Co.
Shannon Brewing Co. (SBC) of Keller has announced the re-acquisition of its distribution rights in the Dallas-Fort Worth Metroplex. In March of 2016, SBC signed an agreement with Andrews Distributing for the delivery of its products to the local market. However, the brewery's desire to expand its portfolio to include a range of "new and fun beers," coupled with the speed at which these products were being introduced, presented a challenge. As a result, the two companies have mutually decided to end their relationship, effective November 1. “Andrews is great at what they do," says Shannon Carter, president of SBC. "They helped introduce the brewery to several accounts and did a good job of marketing our brand. At the end of the day, though, our brewery is growing in a way that doesn’t take advantage of Andrews’ scale and efficiencies. We simply want to be in control of our own brand and product introduction schedule." According to a press release, SBC's products may now be ordered for delivery directly from the brewery, which means the company's entire portfolio can be carried by any licensed retailer in the Dallas-Fort Worth area. For more information or to order beer from SBC, visit the Wholesale Orders section of the brewery's website. 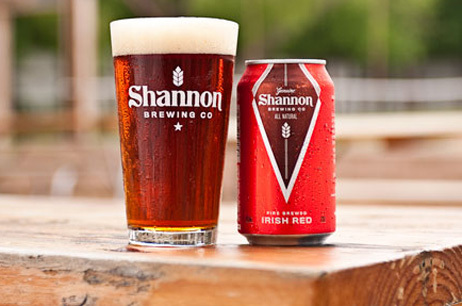 Labels: distribution, Keller, press release, Shannon Brewing Co.